Prebooked school parties are welcome all year. Picnicking is permitted in the main avenue leading to the park. Cover is available if wet. 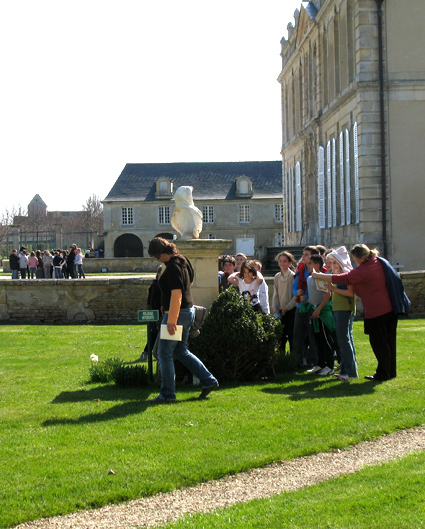 Spend a half day or a full day as a school party discovering the chateau de Canon and the educational farm. Click here to download the range of school visits available. An educational workshop for primary and secondary level to discover garden history and to create your own park.